Google already made its trajectory very clear, both in words and actions, quite a while back, before all this Dragonfly nonsense. There is nothing good at the end of the road it has decided to walk down. Save your own reputations and sense of self-worth and find a more worthy employer. By all means find an alternative employer whose business aims more align with your values - but good luck finding one that would then tolerate the open dissent to its business decisions that (so far) Google has allowed. In the real (outside Silicon Valley) world these employees could be in for a very nasty shock. but good luck finding one that would then tolerate the open dissent to its business decisions that (so far) Google has allowed. In the real (outside Silicon Valley) world these employees could be in for a very nasty shock. Quite. In the banks for which I have worked their actions to date would have been considered gross professional misconduct and they'd have been dismissed. Depending on your politics you may agree with such employee behaviour or disagree with it, but either way, you won't find many employees at many large businesses behaving in this manner. Maybe it's because I'm in the UK, or maybe because I've just never been that important, but I've never had any problems with criticising my employers. "but good luck finding one that would then tolerate the open dissent to its business decisions that (so far) Google has allowed." All but two of the companies I've worked for have no problem with open dissent to their business decisions. When it comes to walkouts and work stoppages, that's a different story of course, but that's about specific forms of dissent, not dissent in general. However, I do agree that you shouldn't work for a company that behaves in a way you find unacceptable. I have a rather long list of companies that I would never consider working for due to this sort of thing, and have quit a few jobs because I couldn't stomach their business practices. Fortunately, there are more decent companies that indecent ones! Google is a bit different, though, because -- at least for a lot of their employees -- the company that hired them is a very different one than what exists now. Google's ethical stance has chanced quite a lot over the years, and there are numerous employees who are just now waking up to that fact and coming to terms with the idea that Google may not be a company that they can be OK working for. I think their reaction is understandable. But later, it's fine. As long as you can make bucketloads of money. Employees must always do their work ethically, without harming the world, Google's customers, and Google, in that order. We aren't the most important thing; human rights, physical safety, and the like all outweigh our corporate interests. Whenever you do something, consider this. Then do whatever we tell you to do because you have no idea exactly what we'll do to you if you don't. Those who are curious are welcome to go to the basement of the administration building and peruse the records located in room 001. That room has a double door system, just because we don't want the papers to get wet or something. Don't worry that they say "soundproof" on them. Google is going to lose many of its best and brightest over this. You know, the type of people who can get a dozen job offers in the week after they've quit just by word of mouth from associates who know they are back on the market. Even if Google backs down over this, the secrecy and lying around the inception of this program has to make them wonder what else Google is doing in secret that has yet to see the light of day. That's the problem when they've grown as big and dominant as they have. There are only so many people on the Earth, and when Google already has over a third ignoring nearly a fifth of them was never going to be a long term strategy for executives whose compensation is predicated upon continual stock price increases. One problem for Google and web services in general is there is a finite limit to the number of users you can have (world population caps that). At some point growth will level out. Another constraint is every user will only spend a few hours at most a day on the web; thus out of 24 hrs/person realistically you might have 3 hrs/day/person doing something on the web (number for illustration only). In the US, everyone (on average) spends 3 hours 48 minutes per day surfing the web. That's up 14 minutes over the prior year. The number is expected to keep rising for at least a few more years before leveling off. What can still significantly change is the amount of money that goes to advertising on the web. At the moment, TV still commands a huge part of advertising money, despite generally falling ratings. If that money switches to advertising on the web, Google can grow a lot more. The number is expected to keep rising for at least a few more years before leveling off. Indeed. Voice interfaces, however invasive of privacy we consider them to be, will lead to an explosion in internet & search related activity because users will be interacting with them without requiring screen time. Google is going to lose many of its best and brightest over this. It's a top flight employer. There's more people want to work there than vacancies for people to do so. Google knows that. At the end of the day, as a shareholder, I appoint Googles board of directors to determine how the company is ran; not the employees, they're simply hired to achieve the vision. I realise that offends a lot of you, but it's the same where I work too - the shareholders, whomever they are, vote to (re)appoint board members, who select at CEO to achieve certain corporate goals (dirty capitalist words like profit and growth); "my" shareholders presume if I don't like that I'm free to find somewhere else to work. One of the biggest problems many young people have is confusion over their right to have an opinion, the time to keep that opinion to themselves, and the weight the rest of us should ascribe to their opinions: The staff instructing the management team is the tail wagging the dog I'm afraid. Let the (red) arrows fly if you must, but they won't change the facts. "One of the biggest problems many young people have is confusion over their right to have an opinion, the time to keep that opinion to themselves, and the weight the rest of us should ascribe to their opinions"
That's not a "problem"* unique to young people. It's endemic across the generations. *I scarequote "problem" here because I don't actually think it's a problem at all. Sure, Google is a top flight employer but if you reduce the pool of potential employees by making some refuse to consider working for you you aren't getting the best and brightest. You are getting the best and brightest of those who are willing to work for you. Apple is a top flight employer too, but they will always lose out on employers who don't believe in keeping things proprietary. Google loses out on employees who think personal privacy is important. The more "evil" Google does (the recent article about Google people filing patents of someone else's work they learned about during an interview) is just another example of why Google is going to be selecting from a reduced pool of applicants in the future. You winnow down the potential pool of employees enough, and you are no longer the place "everybody wants to work". "You winnow down the potential pool of employees enough, and you are no longer the place "everybody wants to work"." This. I personally know and correspond with a dozen or so "top flight" developers (way smarter and more capable than I'll ever be), and at this point about half of them have mentioned that they would never be willing to work for Google. If half of them have mentioned they would not be willing to work for Google, maybe one or two of the rest think likewise but haven't mentioned it - and the rest, upon hearing that so many other top flight devs don't want to work for Google, might think twice before taking a job with them too. '...to organize the world’s information and make it universally accessible and useful'." The world is a both a good and evil place. Inventors don't get to choose how a tool is utilized, only suggest. The crime is that Google is afraid to make information accessible and useful even with itself. In practice, the mission is moral on the label, but monetized at the core. Unfortunately, a new label may be in order, as the moral slant appears to have become old tech.
" Inventors don't get to choose how a tool is utilized, only suggest." True, but what about if, as appears to be the case with Dragonfly, the invention includes functionality that is deliberately and specifically intended to do evil things? Result: network connection timed out. Yep, but as I have said before it is the other Winnie and for a reason. 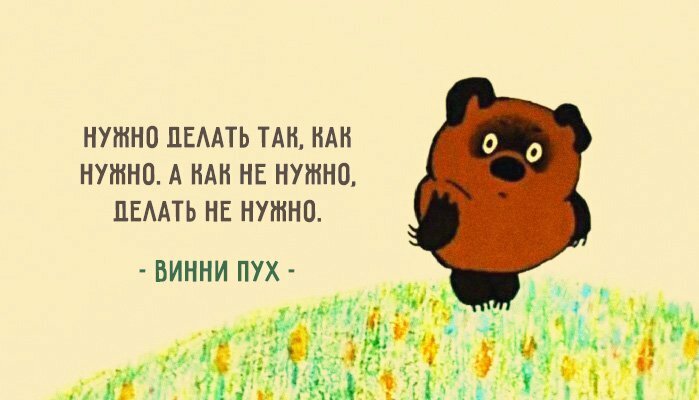 So if you really want the door to come down with a bang do not type in Winnie the Pooh, but Винни Пух. The reason by the way is not just visual. The 1969 version is a typical 3-4 layer humour lampooning the Great Party same as a lot of kids stuff from those days in USSR. There Winnie continuously produces drivel which will not look out of place on a Communist Party poster making adults laugh as much as kids. Is the complaint that Google would be providing something to the Chinese market following the laws of China to do so? Is this an argument for Google not to follow the law? To pick and choose? Do not comply with China and make it easier for them to abuse human rights. C) use Google's power and large megaphone (a note on the google search home page might help) to raise awareness of China's abuse of human rights and suggest that democratic countries put even more pressure on China to make them stop their abuses. They could do many things without breaking Chinese law, either to actually help the situation or at least to not be complete hypocrites on the issue. That's very cute, but much larger organisations than Google have tried to put pressure on China, and have got diddly-squat in return. "That's very cute, but much larger organisations than Google have tried to put pressure on China, and have got diddly-squat in return." Not true. Avoiding doing business in nations where the law requires you to do terrible things gains you some invaluable things, such as a better reputation in the rest of the world, clean hands, and the ability to sleep at night. As the Russian fable about the cat who stole the ham from the cook goes "А Васька слушает да ест". The cat will eat the ham regardless of how much it is being verbally chastised. Or as our Turkish friends say: "it ürür kervan yürür". The dogs bark, but the caravan goes on. Google will never allow case A and B because this will force someone to build a competitor which is not just viable, but which has the biggest possible competitive advantage - regulatory compliance. So watch how it will play ball and when Xi says "sit" it will do exactly that. Not trying to be difficult but the answer you seem to have provided is that Google shouldnt do business in China and somehow should take up the role of political activist to try to change Chinese law to something [it?] would find acceptable. Yet when they do that in the west people complain about the lobbying and how close Google gets to politics (see Obama). I seem to have been downvoted a bit but yet business is expected to work within countries laws and on another discussion about the Washington Post people are trying to suggest GDPR should be enforced on US companies. Yet in this case Google is looking to work within the law of the country it looks to serve and yet somehow should reject it? This isnt even China overreaching with something like GDPR or such. It is not just China. Negotiations with Roskomnadzor in Russia were this week. There are similar talks going on in pretty much any other major market as well. F.E the Register had an article on Australians asking for pretty much the same on "piracy" grounds. Once you open this can of worms there is no way to close it. I'm not arguing that it makes business sense to do any of this, nor that I actually expect Google to even consider it, nor that if Google did it that China would improve. However, it would be a way they could comply with Chinese law without abetting the human rights abuse. That was the original question: were we who view Google's Chinese search engine as a problem suggesting Google break Chinese law. I answered that question. For the record, just because someone else will do a bad thing does not make it reasonable for you to do so. I also don't remember Germany blocking Google because it didn't censor, nor their asking for a special google that censors. China and other dictatorships seem to be the ones asking for that, so let's not make up a theoretical scenario which is most definitely not happening. Germany threatened to take Google to court and it was first. Can't be arsed to look it up, it was more than 10 years ago. Google quietly conceded at the time and has been compliant there ever since. As far as Poland it is only a matter of time until the new Polish "edit history so we look innocent" law is applied and Google has no choice but to comply. In Ukraine it is an SBU enforcement order yet, not law. Law is in the making (using the Polish one as a template). Once law is in, same stuff applies. I can continue the list ad naseum: Turkey, Azerbaidjan, Georgia, etc. There are lots of skeletons in the closet of other countries too. Rattle the Latvian skeletons from the end of the WW1 and their role in the Russian civil war and they will be following the Poles head over heels. Do not even get me started about Britain, D-orders, super-injunctions and the existing (mostly DNS) blacklists. So, like it or not, the requirement for a "compromised" search engine is there. It is a fact. It, in fact, constitutes a bigger market than the market for an "unadulterated" one. "it would be a way they could comply with Chinese law without abetting the human rights abuse." How do you figure? Dragonfly looks specifically designed and intended to abet human rights abuses to me. "Is this an argument for Google not to follow the law?" No, it's an argument to avoid doing business in nations where the laws are morally unconscionable. "No, it's an argument to avoid doing business in nations where the laws are morally unconscionable." Bad news for you. I am pretty sure with electronics and I assume you have clothing etc you likely buy from China even if it is somewhere in the supply chain. So why should Google be more moral than you (in your opinion)? As I pointed out Google is looking at act within the law, so if you have some problem with that you need to explain your problem. Are you saying the Chinese do not deserve access to western products and services? All because of their government? "I am pretty sure with electronics and I assume you have clothing etc you likely buy from China even if it is somewhere in the supply chain." I don't understand the relevancy of this argument. Are those electronics and clothing intended to help the government engage in abuse? I do actively avoid supporting such products. "So why should Google be more moral than you"
I would be happy is Google were even 25% as moral as the average human being. "Google is looking at act within the law, so if you have some problem with that you need to explain your problem." You are conflating the legality of something with whether or not it is moral or right. Those are two independent things. "Are you saying the Chinese do not deserve access to western products and services?" No, I'm saying that it's wrong to build an infrastructure that helps a government to abuse its own citizens. This isn't a stance I have that is unique to Chine -- I have similar objections when companies to this for the US government as well. "I don't understand the relevancy of this argument. Are those electronics and clothing intended to help the government engage in abuse? I do actively avoid supporting such products." So you dont want to help their government but dont understand the relevancy of sending them money? What is wrong with doing business in the country to provide a service to their population? Because you dont like their government doesnt really have any weight as an argument. "I would be happy is Google were even 25% as moral as the average human being." Which then begs the question of what is morality and based on who's morals. Is that average human being of a particular country, continent, culture or do you actually mean globally? "You are conflating the legality of something with whether or not it is moral or right. Those are two independent things." That is because legality is defined while morality or even more amusing 'right' is highly flexible in its meaning. The difference being that moral or right have no meaning. "No, I'm saying that it's wrong to build an infrastructure that helps a government to abuse its own citizens." Well thats the entire war machine removed. Even if built for defence it could be turned inward (see US). And the entire welfare/tax system too. Policing too. "So you dont want to help their government but dont understand the relevancy of sending them money?" You are misunderstanding what I'm saying. I'm not saying "don't do business with China". I'm saying "don't do business in a nation where the laws are requiring you to do something objectionable". "Which then begs the question of what is morality and based on who's morals." Indeed, and I'm referring to the morality of the people who are deciding what action they should or should not take. "The difference being that moral or right have no meaning." "Well thats the entire war machine removed. Even if built for defence it could be turned inward (see US). And the entire welfare/tax system too. Policing too." We're getting into a very nuanced area here. I'll just leave it at this: I both agree and disagree with you here. "I'm not saying "don't do business with China". I'm saying "don't do business in a nation where the laws are requiring you to do something objectionable"." Ok. The nation in this instance is China. To offer this service to the people of China Google will have to abide by the law. Google is not objecting to the law because it wants to provide the service to the Chinese population. Also Google isnt objecting, just some people who dont run it. "Indeed, and I'm referring to the morality of the people who are deciding what action they should or should not take." Which are the heads of Google who went ahead to develop this service. "This couldn't be further from the truth." Ok please define. What are the absolutes of morality/rightness. "We're getting into a very nuanced area here. I'll just leave it at this: I both agree and disagree with you here." Ok, I dont expect us to see eye to eye but you may have considered something I dont which is why I was willing to carry on. Infrastructure is infrastructure but what it is turned to doing is the area of right and wrong (again very fluid and hard to define). But I think this is why some people can be against this and some for, but those in charge of the business make the decisions for the business. This is others complaining about it. "To offer this service to the people of China Google will have to abide by the law. Google is not objecting to the law because it wants to provide the service to the Chinese population." Yes, I never said otherwise. "Which are the heads of Google who went ahead to develop this service." And the people who work for them. "What are the absolutes of morality/rightness." You've moved the goalposts here. I was disputing the assertion that "moral and right have no meaning". I was not asserting that there was such a thing as an "absolute morality". "This is others complaining about it." This is the workers trying to correct what they see as an unacceptable situation. I don't see the problem with that at all -- we all have the right (and duty) to speak up and act about things we find unacceptable. They're doing so because Google has, in the past, been a company that promoted and valued a certain set of ethics, and this project is in opposition to that. I do think that really, this is the employees waking up to the fact that they don't work for the sort of company that they thought they worked for, and they are trying to avoid making the hard decision between compromising their own values or quitting positions that they used to value. Personally, I think the best move they can make is to quit (Google isn't going to change, after all), but when you're very invested, it is a gut-wrenching thing to face. So I have sympathy for them. "Yes, I never said otherwise." Ok then this is resolved, Google complies with the law and provides the service in China. As I have said from the start. "And the people who work for them." Erm kinda but no. They can leave the company. They are not in charge. To what degree should business bend to the prejudices of its workers? There will always be more than one opinion for as long as there is more than one person. "You've moved the goalposts here. I was disputing the assertion that "moral and right have no meaning". I was not asserting that there was such a thing as an "absolute morality"." Ah ok. I am not trying to move goal posts but to argue morality is easy for and against a lot of 'positions'. Basically they are highly subjective and extremely flexible terms which is why I consider them meaningless. "Personally, I think the best move they can make is to quit"
I agree. I have done this too, not for a 'morality' issue but for structural changes I disagreed with. I voiced my concerns to management only and then made my exit when the plan I absolutely disagreed with continued regardless. and yet, most of Google’s services profit centers are unavailable in China,"
FTFY. Google has been cut out of a large, untapped market. Profit and income are king so.... following the money leads us to China. “Power without responsibility — the prerogative of the harlot through the ages”. It seems as if Stanley Baldwin's words are as true today as they were in 1931. Google is a whore, willing like other "ladies of negotiable affection" to accommodate the wishes of anyone willing to meet their price. They have the power to influence and control what people see and hear but have no intention of taking any responsibility for what they have enabled. It's all about the money and damn the consequences. It won't affect most of them in any way. Re: Old but still true. Let's be fair -- we're all whores. We all sell the use of our bodies and minds for money. You forgot: "and usually, we don't get kissed afterwards." Mass resignation, would it hurt Google? Maybe in short term delay projects, while they hire replacements, but plenty of people in India (no racism intended) will happily take the job and not care what happens in China., for those that do go, plenty of secret blacklist floating around tech firms ! The problem Google (and all other software companies) has is that the global pool of truly talented engineers isn't that large. You can always hire replacements, but hiring replacements of equal caliber is difficult and expensive, and growing more so as time goes by. This is just one example of the grand challenge western civilization is facing now. Do we have the guts to stick to the hard-won principles of human rights and the rule of law, or do we sell them for a bowl of soup, like Esau in the Bible? Send in the flames... Google's employees are just that: employees. They were hired to do specific jobs involving specific tasks. In return, they are compensated with money, time off, etc. At no point did Google give them a seat on the board. Nowhere in their hiring agreement does it say "and Google will change its business practices if employee does not like them." I don't know where people got the idea that being a janitor at a company gives them the right to tell the company what to do, or that the company should give a damn about their opinions. Perhaps the touchy-feely Sillycon Valley startup mentality that underpinned so many failures? If you don't like working somewhere, there's the door. Want to change the company? Grab a position of importance and spar with the management. I'm sure plenty of self-important politically-minded people would like to THINK they have power over their employer. But really they don't and it's proving a rude awakening for many. It's also rather hypocritical to whine about what Google is doing to violate human rights in China, but be perfectly fine with their violation of American citizen's rights here in our own country (and other countries as well to be sure). Sorry, but if you work for Google, you're helping them help the NSA too. Google is Evil, and will stay that way. Deal with that... or leave!